Laptop screens do lead a hard life, from direct impacts to flexing of the chassis it is quite remarkable that they last so long. 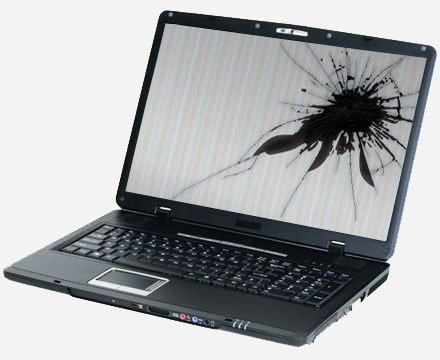 However if your screen is faulty or damaged it does render the laptop useless or at least difficult to use. It is not just physical damage that can lead to screen replacement either, vertical lines and dead pixels can also mean that a new screen is the way to go, but sometimes issues can be caused by the connectors from the main chassis to the screen. Pelican Computers can replace your screen or connectors quickly, and efficiently returning your laptop to its former glory and saving £100’s on the price of a new laptop. We do of course offer a full 12 month warranty on our work and the screens we provide as replacements. Cracked screens, dead pixels, vertical lines, dark screens, cable issues and more can all be sorted.